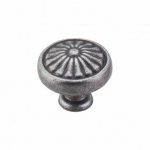 From the color of the walls to the surface of the countertops, your kitchen and bath are a reflection of your personal style – and when it comes to knobs, pulls, and accessories we believe you should have the same opportunity to express yourself. 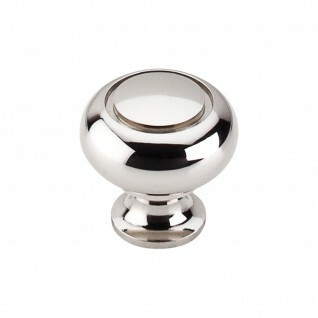 Having the right hardware in your projects draws the eye and accentuates style. 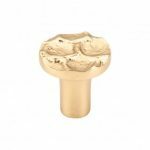 That’s why Top Knobs offers 40 sealed finishes, in line with the latest design trends and each with a personality all its own. 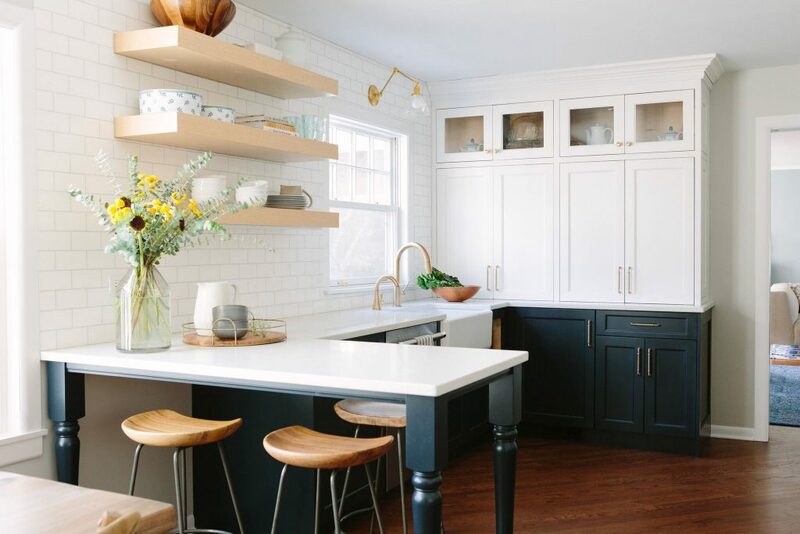 Flat Black (BLK): There’s no denying that black fixtures have made a comeback as one of the hottest trends in kitchen and bathroom designs. 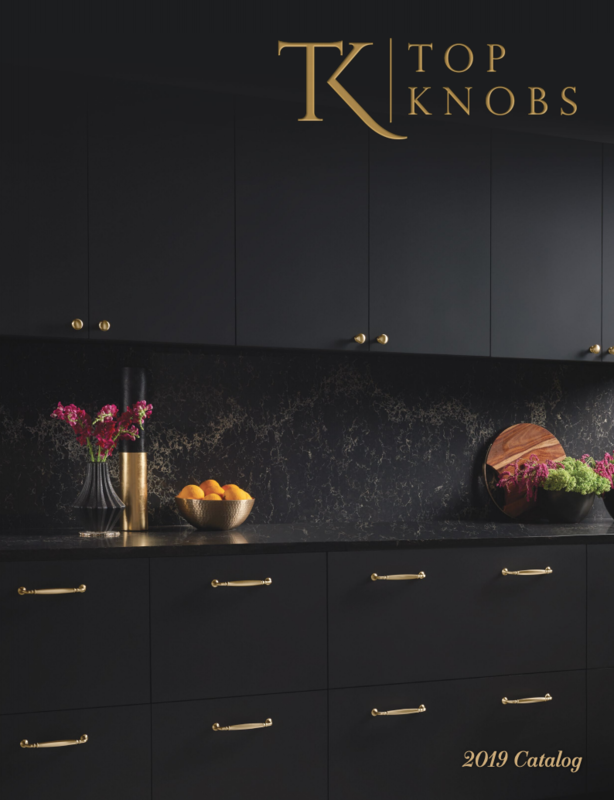 Traditionally chosen for more modern spaces, the matte look and feel of Top Knobs’ Flat Black finish adds a touch of drama and contrast to designs. Polished Nickel (PN): Inspired by the timeless sophistication of the Victorian Era, Polished Nickel is lustrous and adaptive to almost any design scheme, making it a desirable finishing touch that will never go out of style. Honey Bronze (HB): Honey Bronze puts a chic twist on classic bronze and brass finishes with a softer, light golden tone. 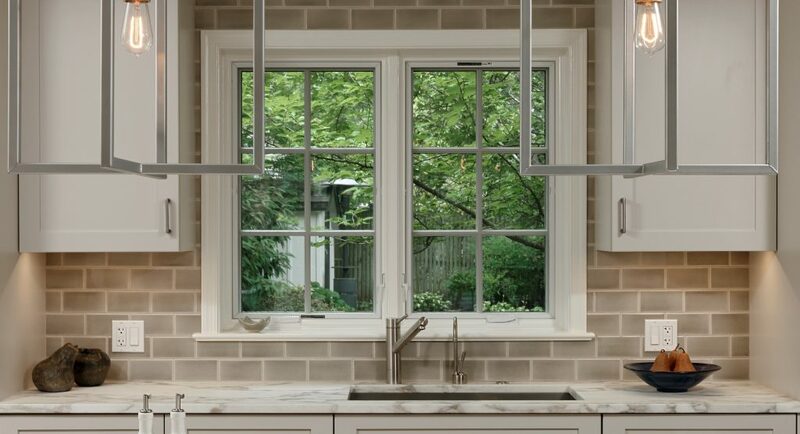 The stunning shade adds the perfect touch of old-world charm to kitchen and bath designs. 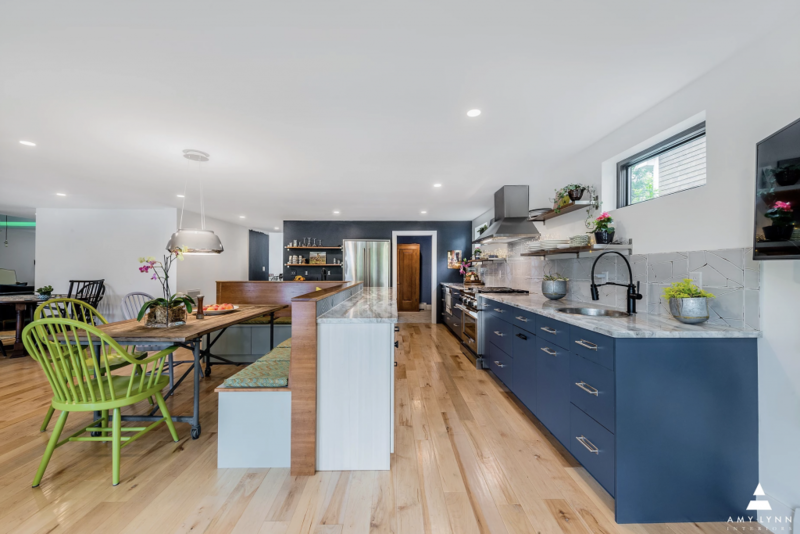 Brushed Satin Nickel (BSN): Satin Nickel saw its rise to fame during the mid-century modern era where it lived with bright colors, bold patterns and modular furniture. 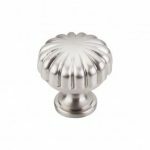 Now its popular and visually appealing soft silver tone is used to add a sophisticated touch to rooms without being overbearing. 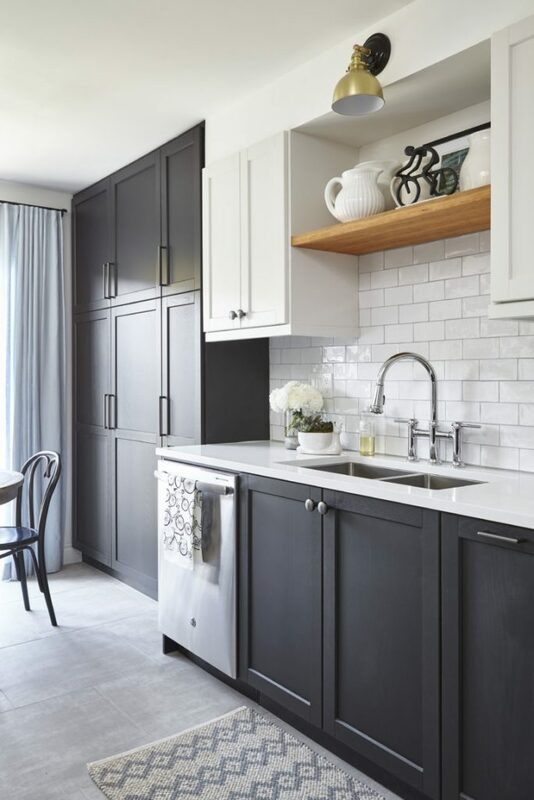 Ash Gray (AG): A unique alternative to traditional gray finishes, Ash Gray brings a warm feeling to designs with its low-reflecting shine. 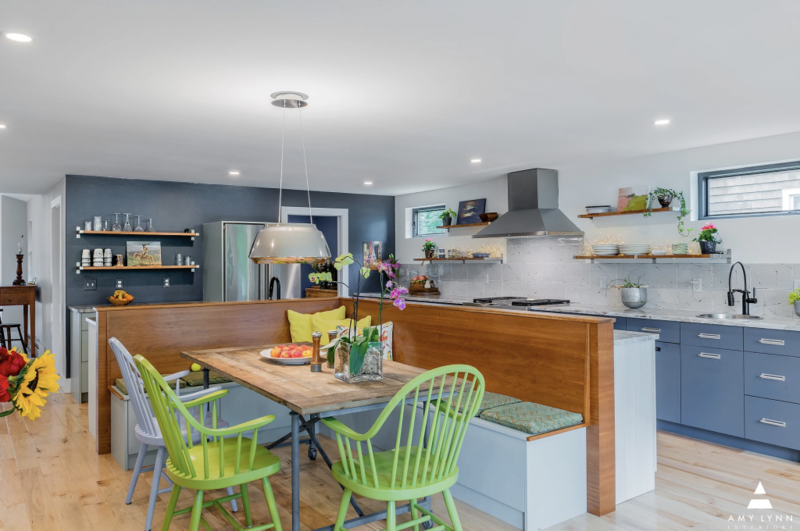 The versatile color works well with any color scheme and acts as an anchor to bring all parts of the room together. 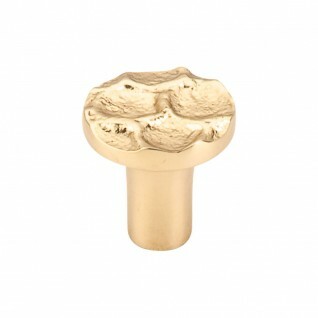 Brass (BR): Called the “comeback of the year” by the design community, brass finishes add a luxurious feel to room designs. 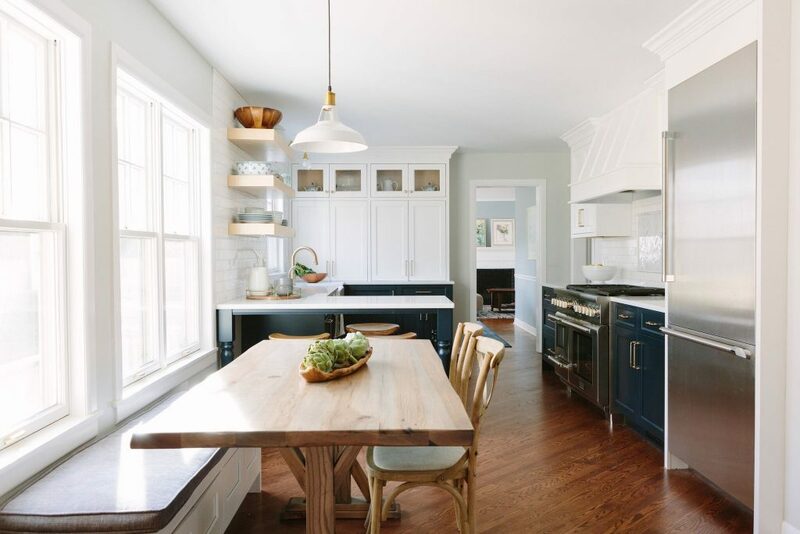 This bright, shining finish instantly updates the space it graces while also adding a warm and welcoming ambiance. 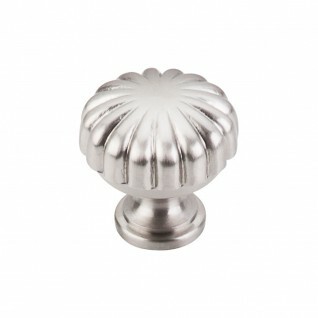 Stainless Steel (SS): Clean and modern, Top Knobs’ stainless steel finish is designed to coordinate with high-end appliances and is ideal for those who want a matching look for their kitchen and a bit of extra shine. 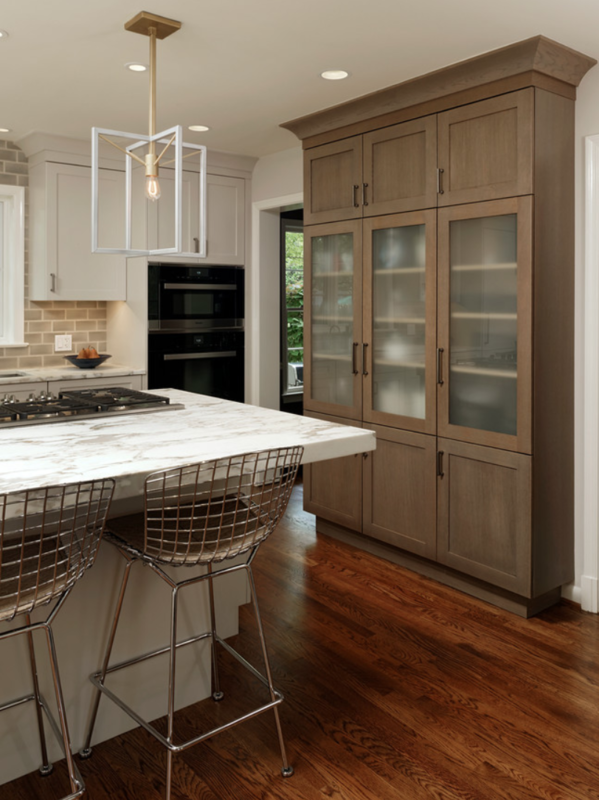 Old English Copper (OEC): Featuring an earthy hue and red and orange tones, Old English Copper is one of the most stand-out finishes offered. 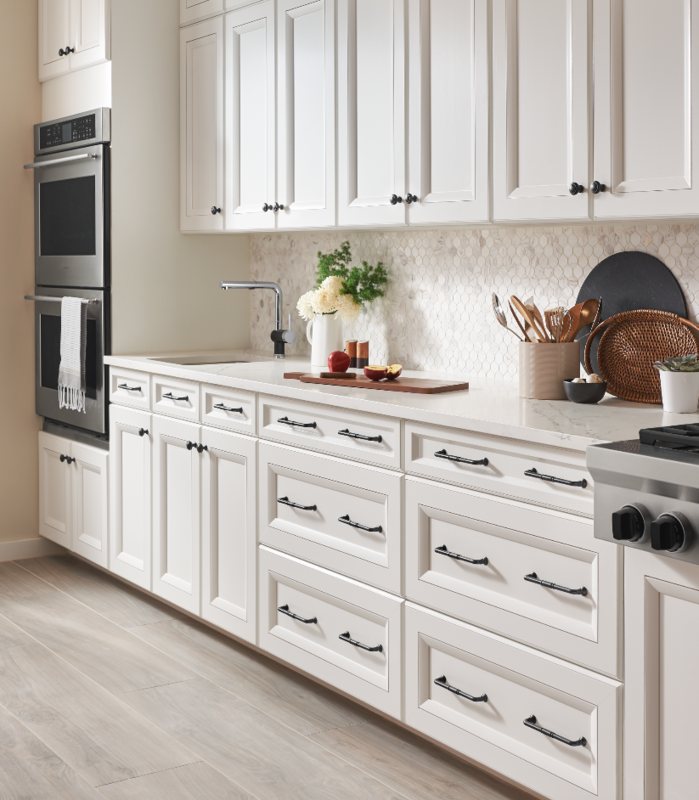 This accent tone makes a statement while simultaneously creating a warm aesthetic. Pewter (PT): Found in the darker side of the silver metal family, Pewter perfectly picks up light while also casting a very soft glow. 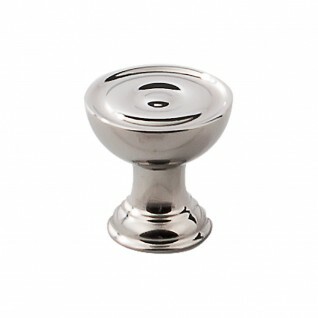 Pewter is often used to complement elegant decor styles and is commonly referred to as an old-world finish. 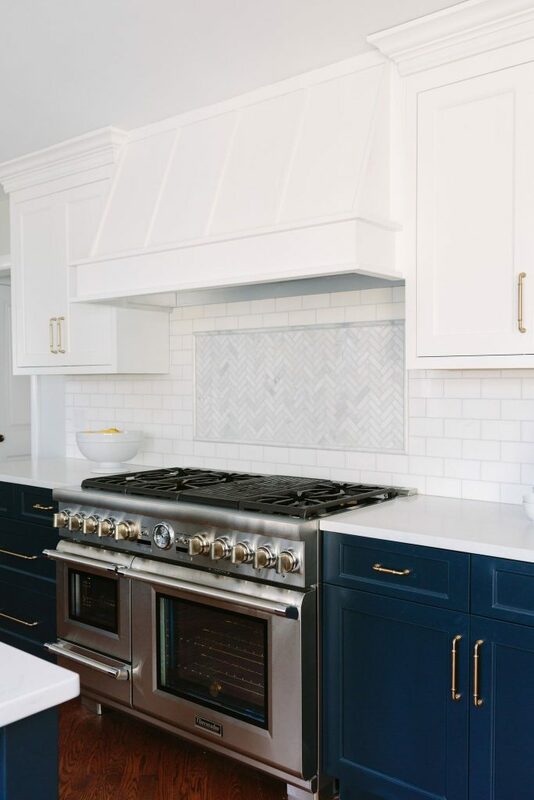 White (WH): In the era of the white modern farmhouse it’s no surprise that white finishes are trending in the kitchen and bathroom. 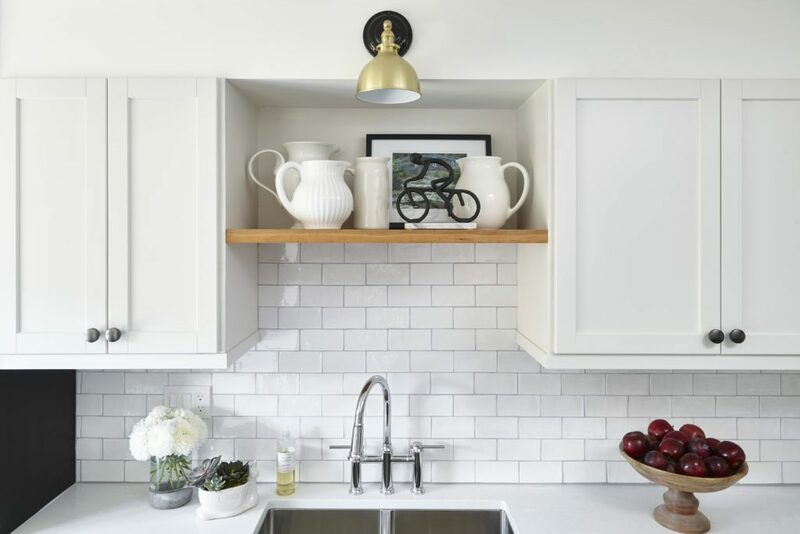 White decorative hardware accessories brighten up the space and add a clean appearance that keep spaces looking like new. Top Knobs’ commitment to superior finishes begins with high-grade metals, molds and lacquer. 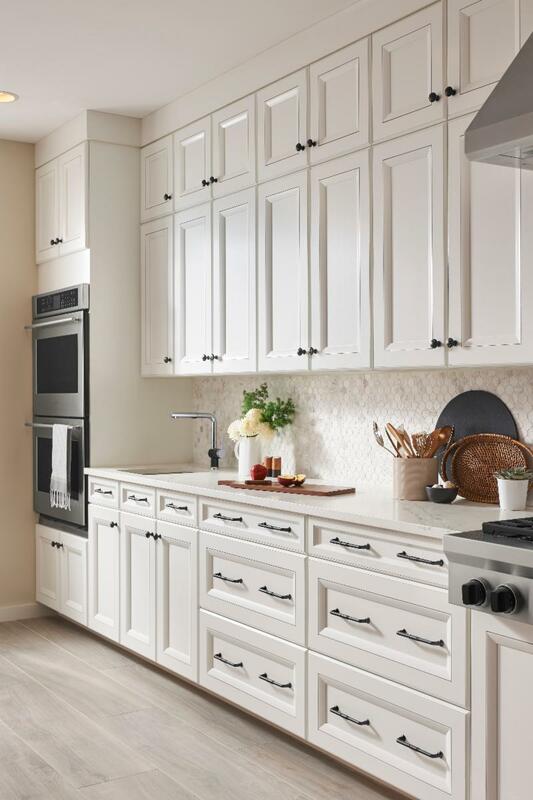 Each hue richly and beautifully crafted for a difference you can clearly see. 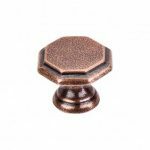 Plus, our finishes are sealed, allowing them to stand up to the toughest conditions and maintain their good looks over time. 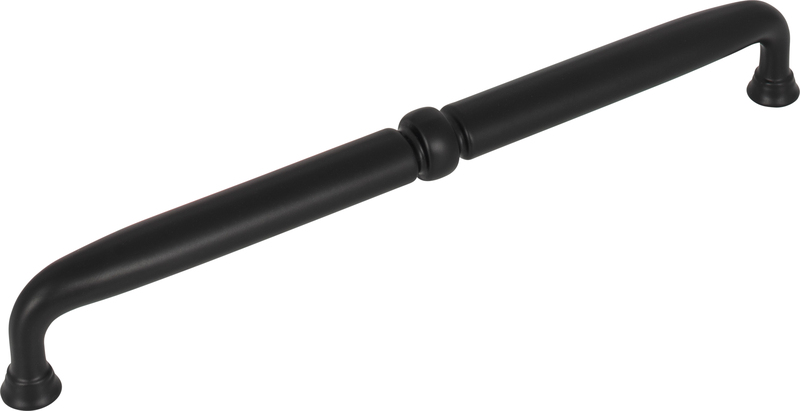 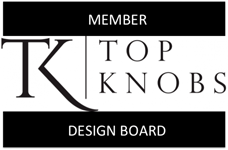 All Top Knobs products come with a lifetime warranty. 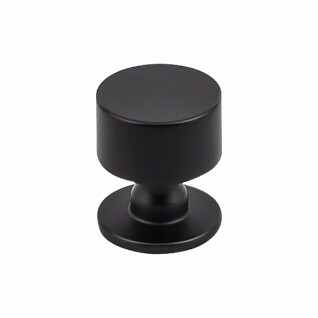 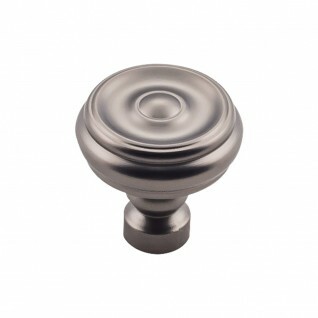 Visit www.topknobs.com for more information. 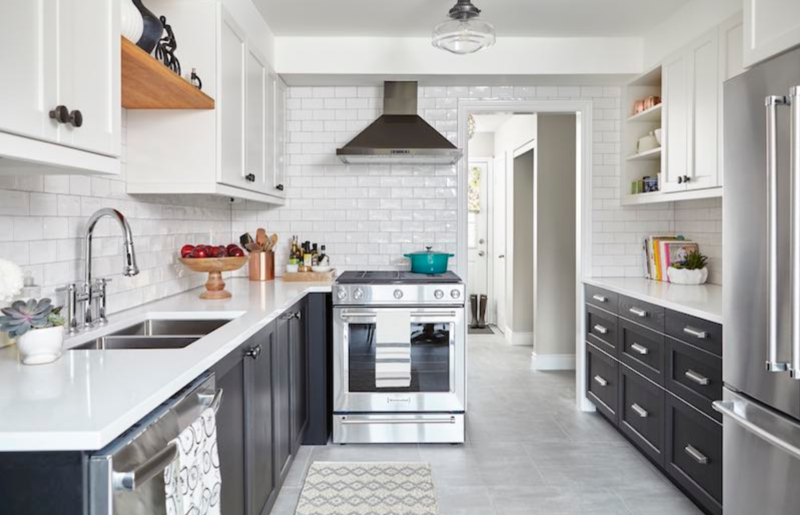 In Chevy Chase, Maryland Meghan Browne from Jennifer Gilmer Kitchen & Bath was tasked with transforming a dated, closed off kitchen into an modern entertainment destination with a space savvy twist, aided by Top Knobs. 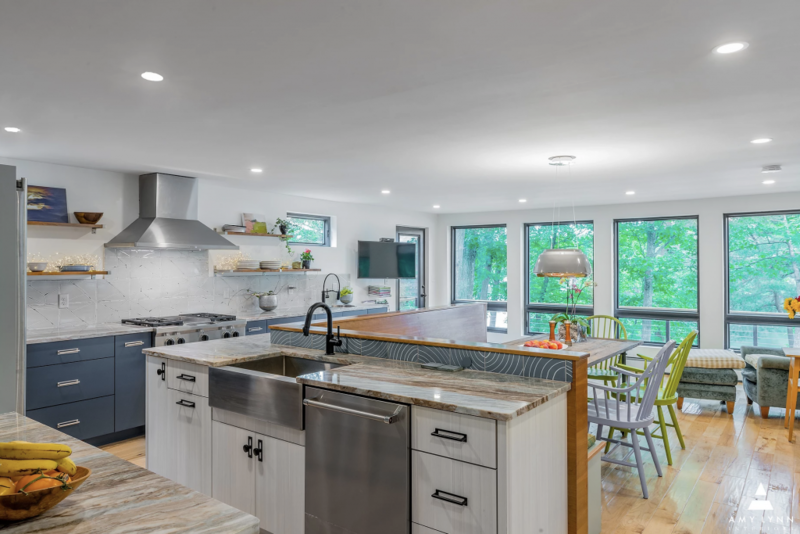 To get the project started the team removed the wall separating the kitchen from the family room, allowing for more natural light to extend into the room. 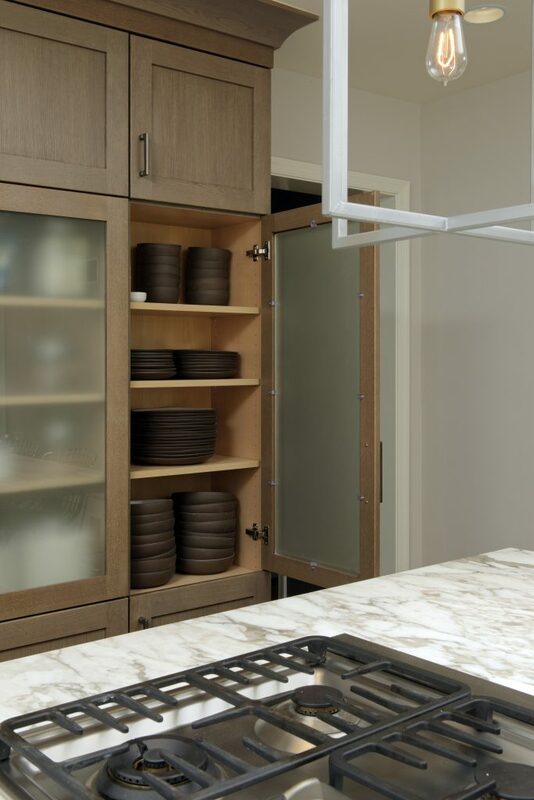 An added doorway was installed so the cook has direct access to the dining room without getting in the way of guests at the island. 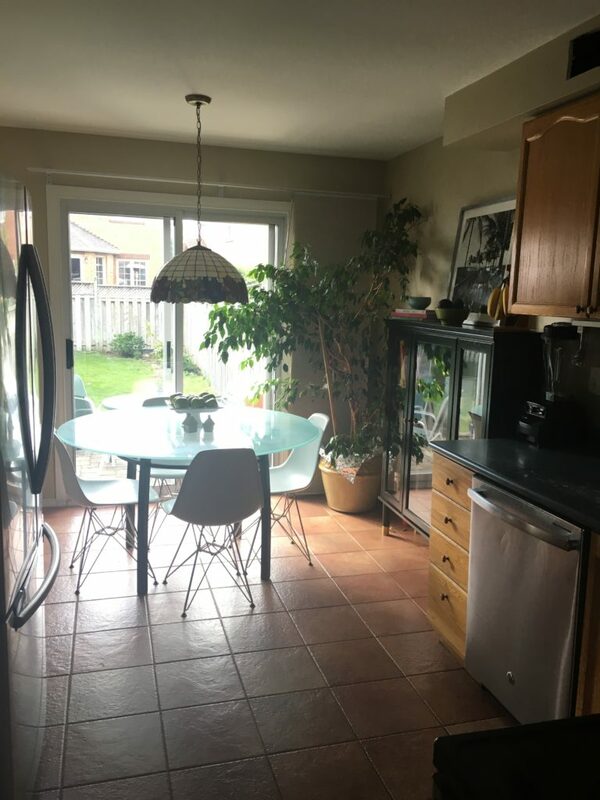 Concentrating the sink, dishwasher, double ovens and fridge along a single wall threatened to leave little room for usable storage. 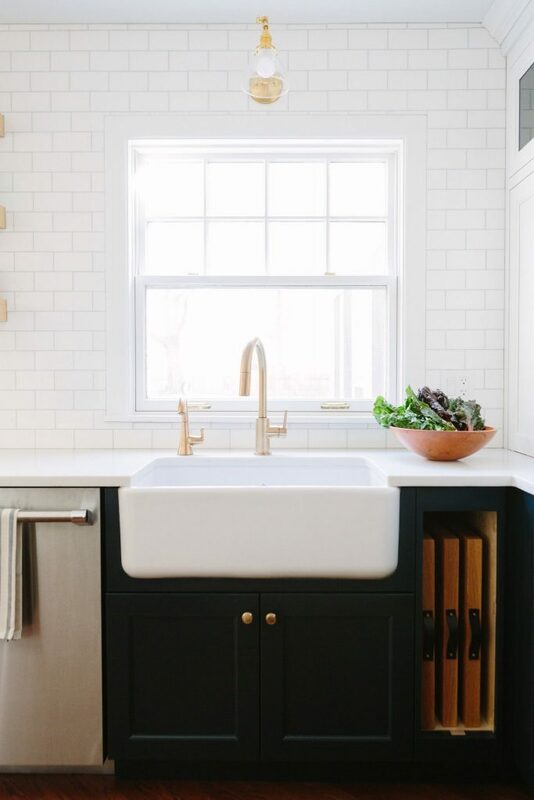 To allow for the most space possible, Meghan and the team boldly located the sink flush with the right edge of the window to get a larger base cabinet that is perfect for nesting bowls, pots and pans or small appliance storage. 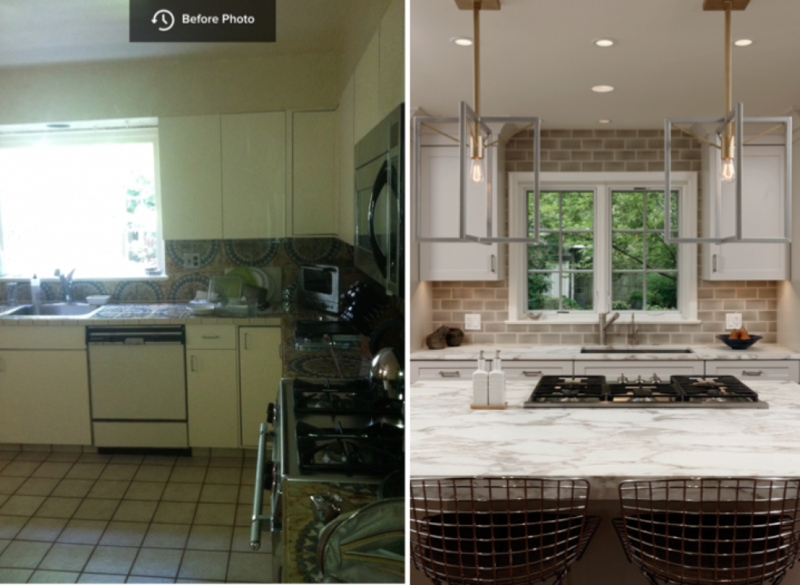 Once the layout was finalized, large cabinets spanning from the floor to the ceiling were installed throughout the kitchen. 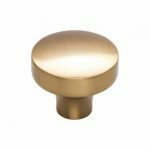 Flat Sided Pulls in Silicon Bronze Light from the Top Knobs Aspen Collection added necessary charm that pulled the entire design together. 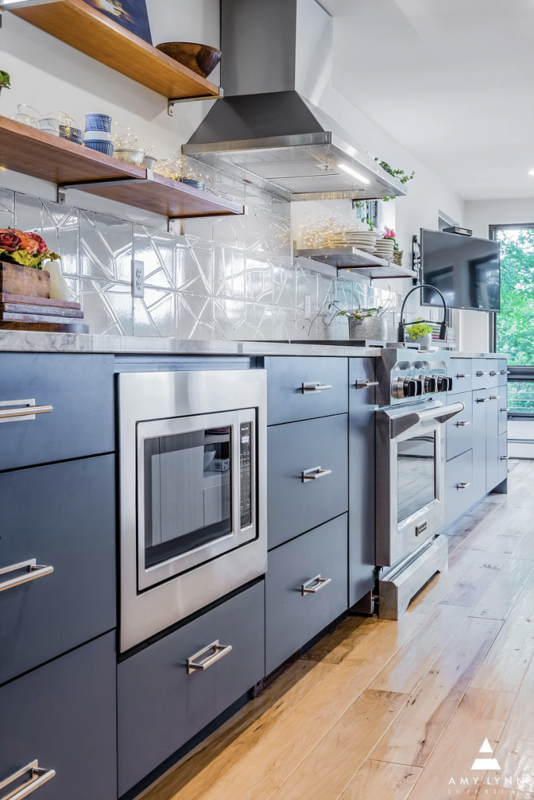 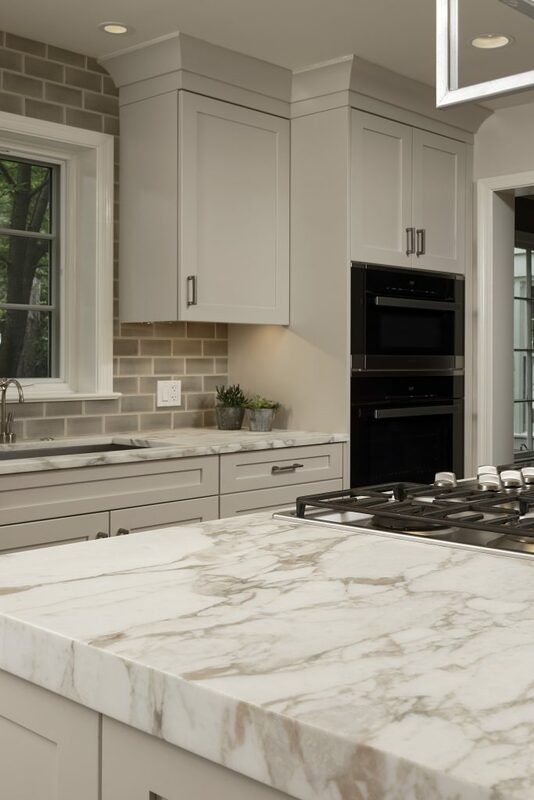 This kitchen went on to win First Place in the Small Kitchen category for the NKBA Baltimore/Washington Chapter Kitchen and Bath Design Awards in March. 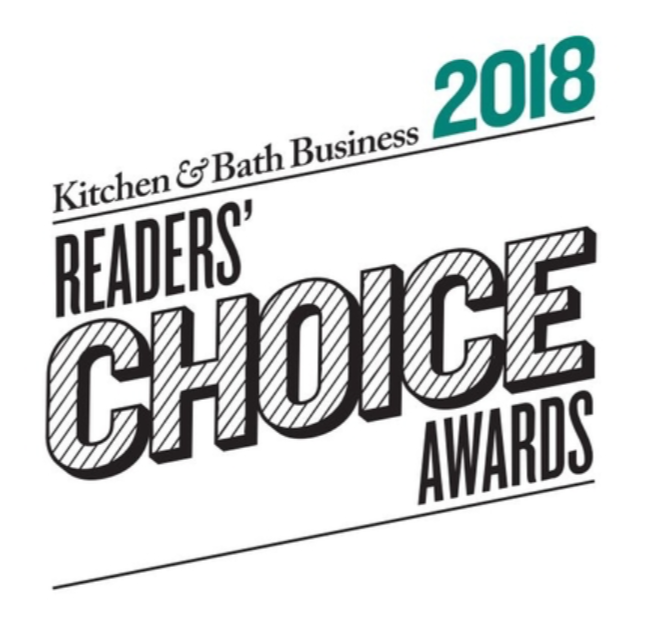 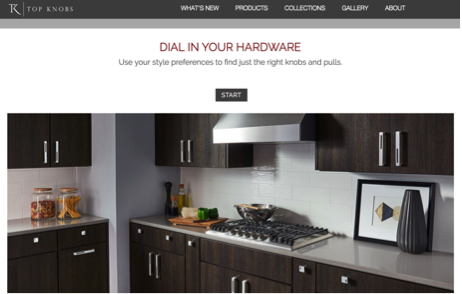 It has also been featured online by Kitchen and Bath Business. 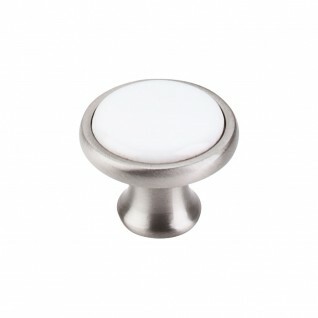 Thank you to Jennifer Gilmer Kitchen & Bath for sharing your Top Knobs project with us! 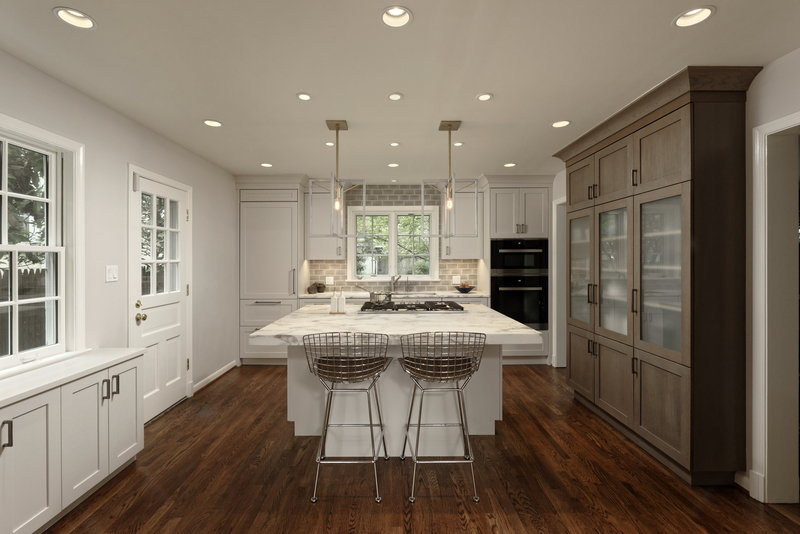 Photos courtesy of Bob Narod, Photographer, LLC.